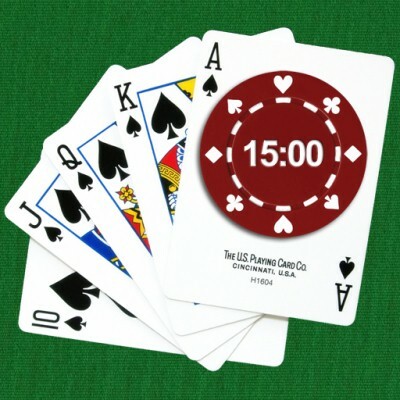 Shuffle up and deal in style with Loopy's Poker Timer. 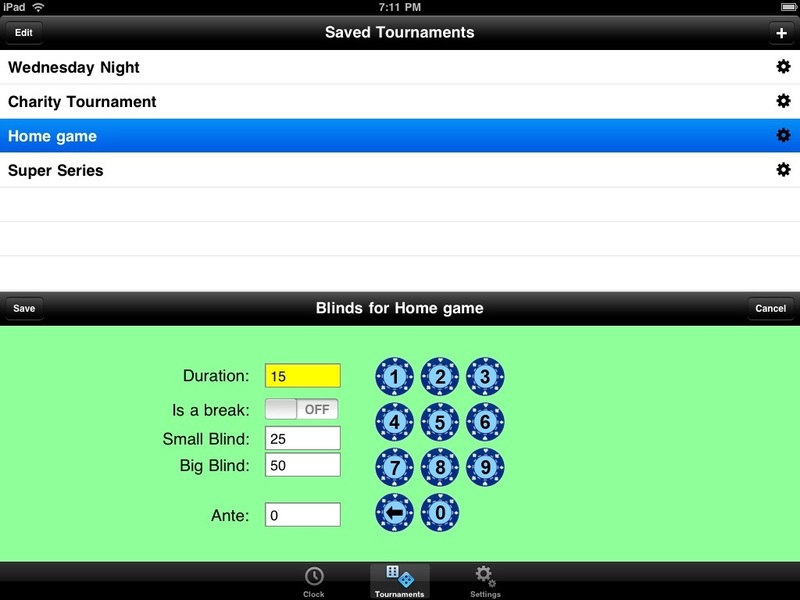 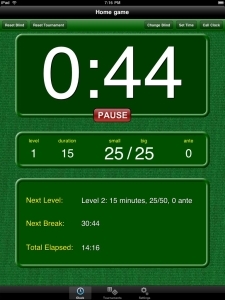 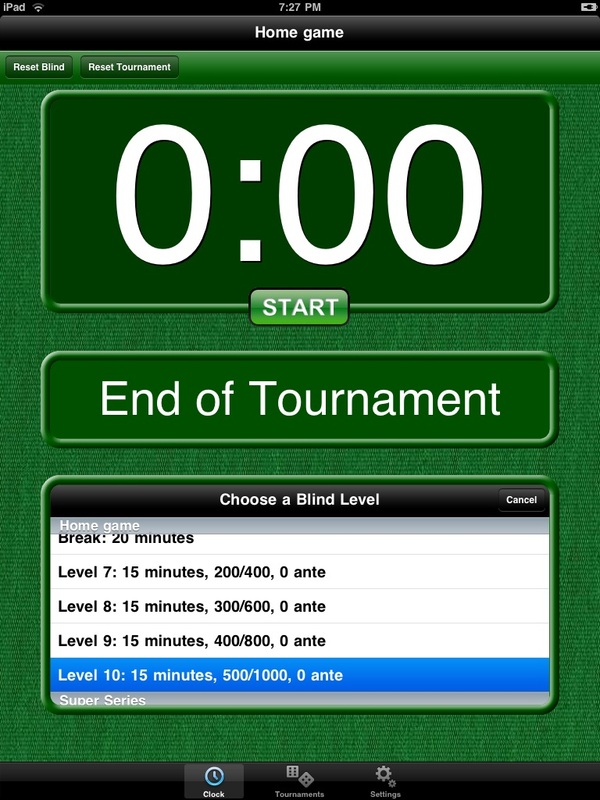 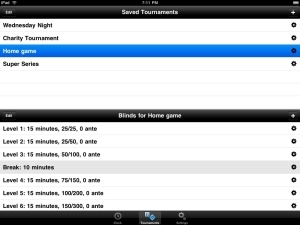 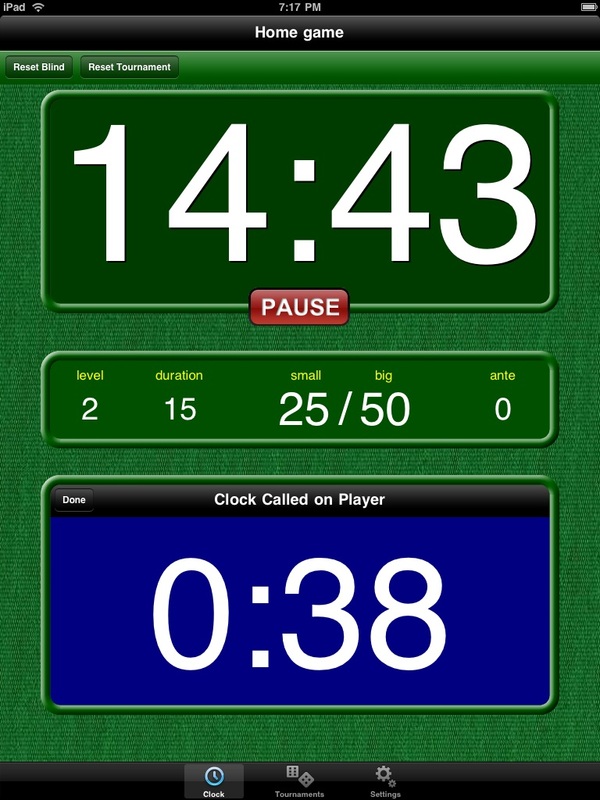 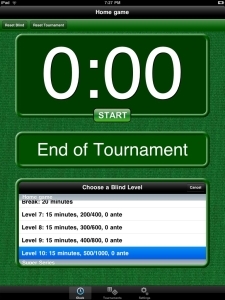 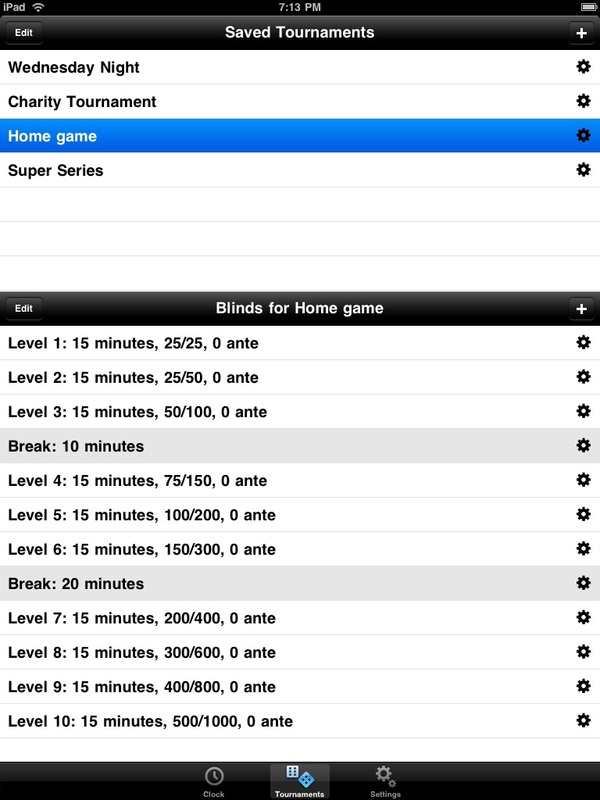 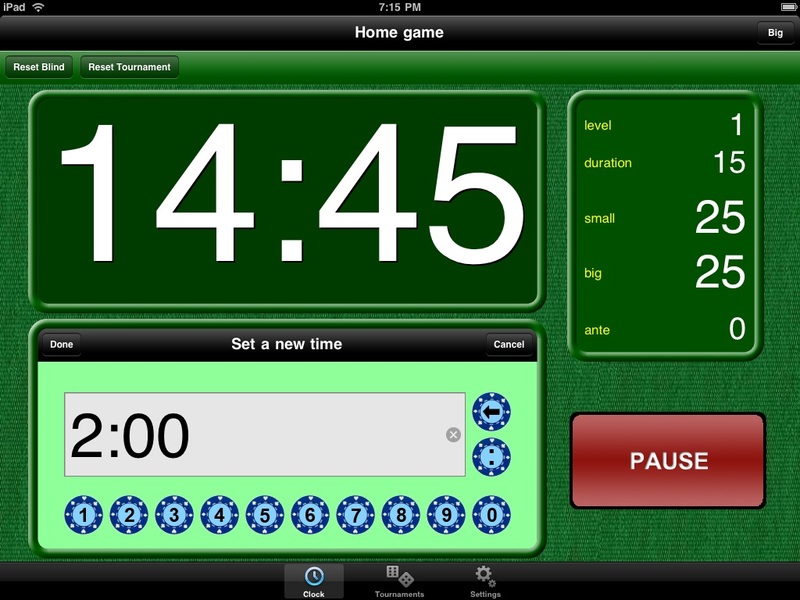 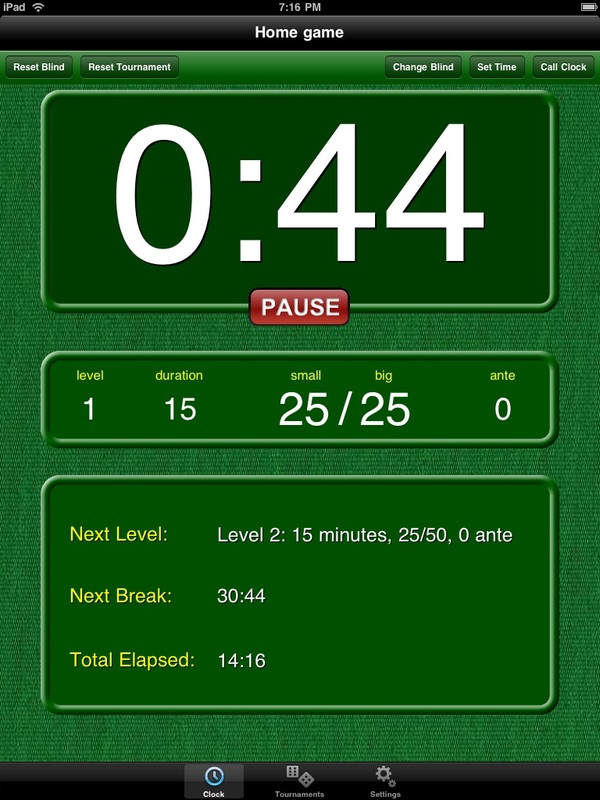 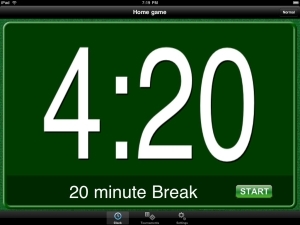 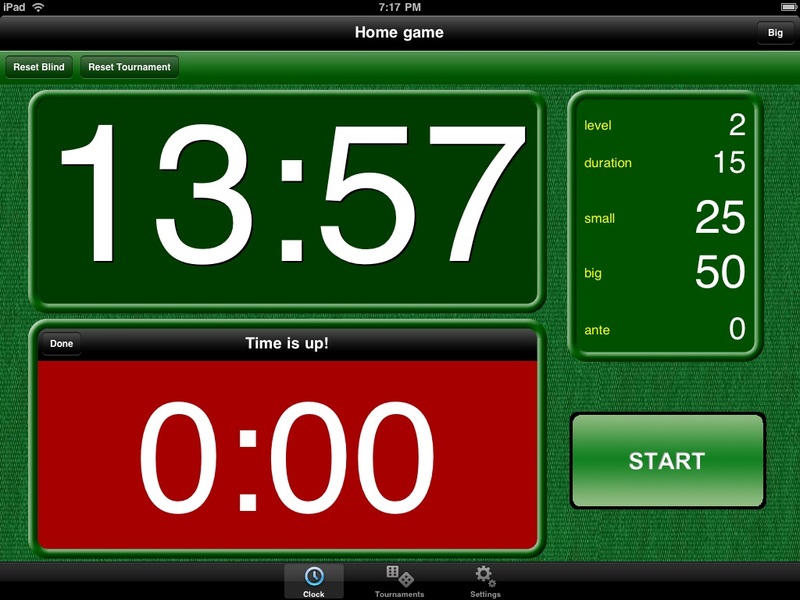 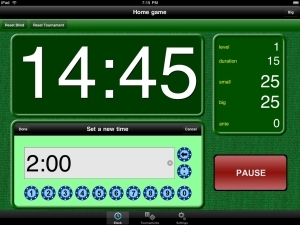 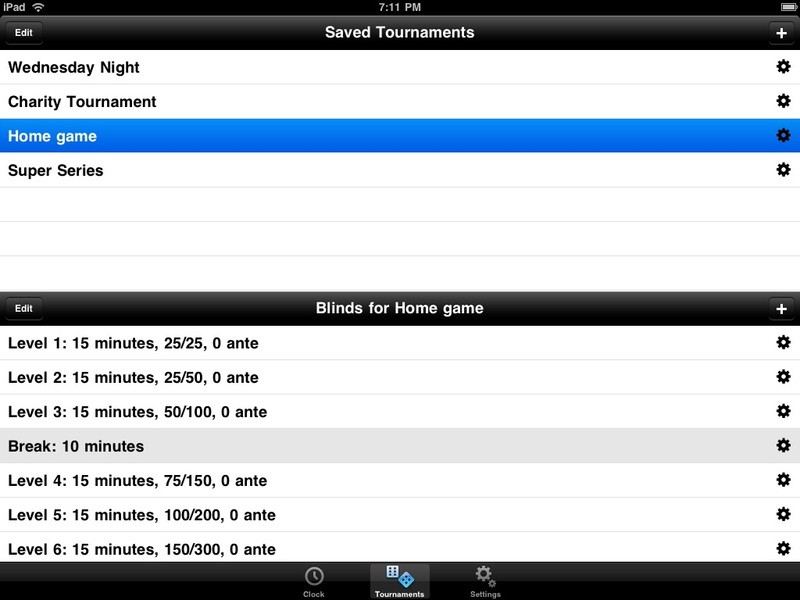 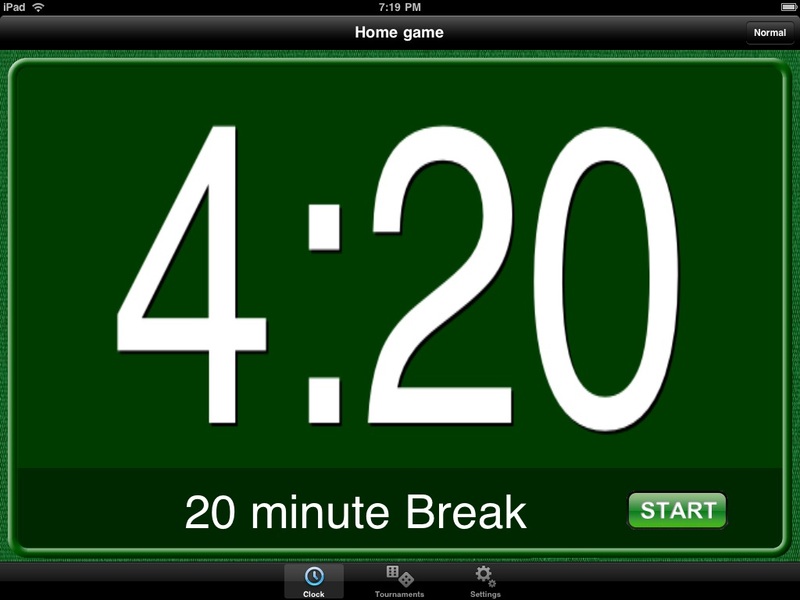 This app allows you to display a countdown timer for blind levels of a poker tournament. 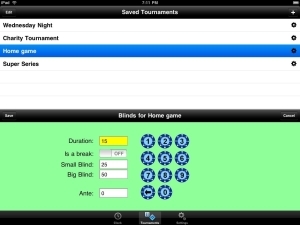 There are 3 different view orientations, including a very big one that takes up most the iPad's large screen, and can easily be seen from across the room. 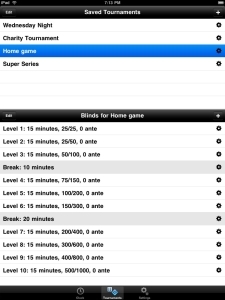 You can setup and save any number of tournaments with their own custom blind level structure. 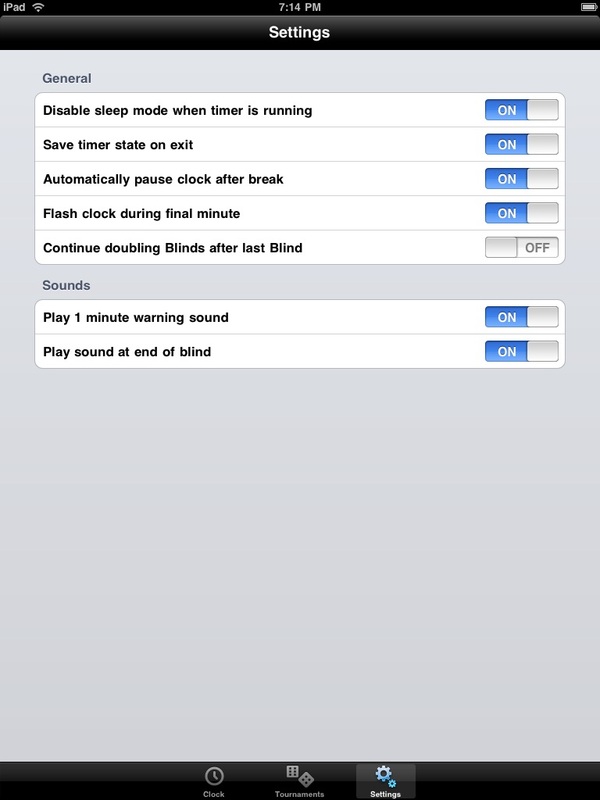 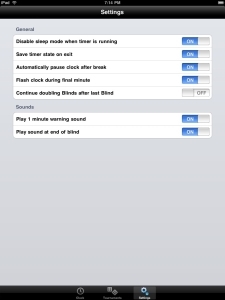 In-app settings allow further customization options. 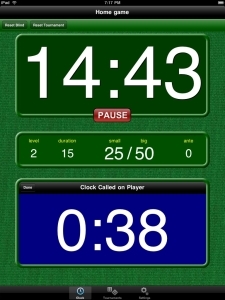 You may not know or care who Loopy is, but you'll love his poker timer!